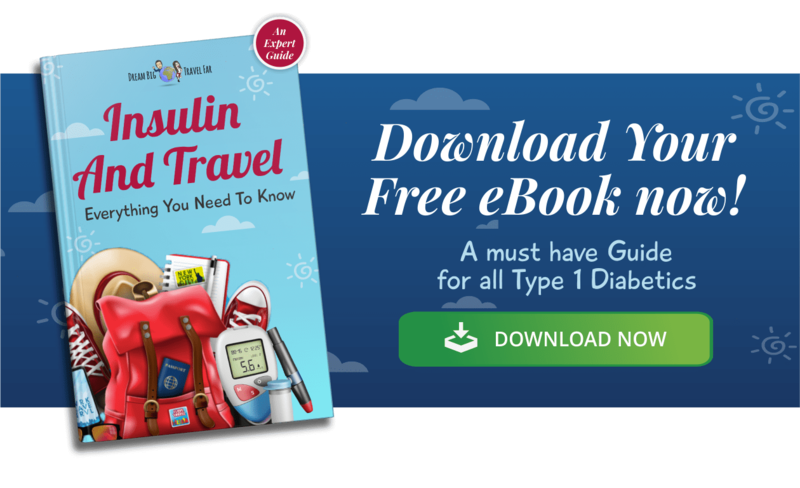 Some tips & tricks for managing type 1 diabetes at a waterpark. You don't have to miss out, there is some steps to take to ensure you have the best time! Waterparks are fun for all ages. I remember going to them as a child with my family (before I had type 1 diabetes) and when Brad and I travel around the world, we take every opportunity we have to go to a waterpark. But, how do you manage your type 1 diabetes at a waterpark? What’s different? What should you be aware of? Here is my guide to ensuring you have a fun and fuss-free day! Insulin pump or insulin pens? Clearly being on insulin pens is a lot easier to manage in a waterpark for the sheer fact there is nothing to ‘rip’ out of your skin. However, that doesn’t mean those with CGMs, Libres and Insulin pumps cannot use them too. Some people find it easier to switch to insulin pens for the day- depending on your age and how long you are going to be taking your insulin pump off. If you decide to make the switch, this is something you should discuss with your diabetes specialist before you do it. When you switch back to insulin pens, you usually need more insulin than you would for your pump. I actually find I need double the dose. This is all dependent on the individual- so won’t necessarily work for you. I've written a guide on switching from insulin pumps to pens that you may find useful. Personal Tip: If you are deciding to switch for just a day- just take your short-acting insulin and don’t give your background insulin. 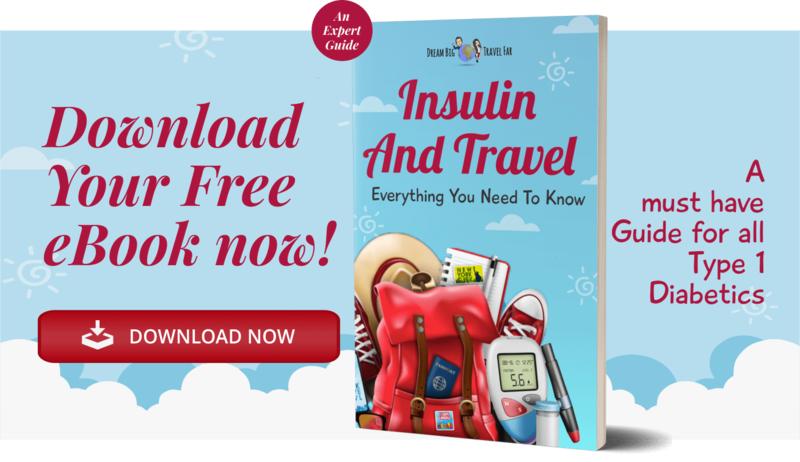 This means that when the waterpark fun is finished, you can go back on your insulin pump, without having to wait a full 24 hours for your background insulin to leave your body. Remember having both in your system massively increases your risk of hypos. Doing this method will mean you need to monitor more. Depending on the insulin pen brand you are using, they usually have a life of around 2-3 hours for fast-acting insulin, which means it takes this long for it to “leave your body”. Not an insulin pump in site! 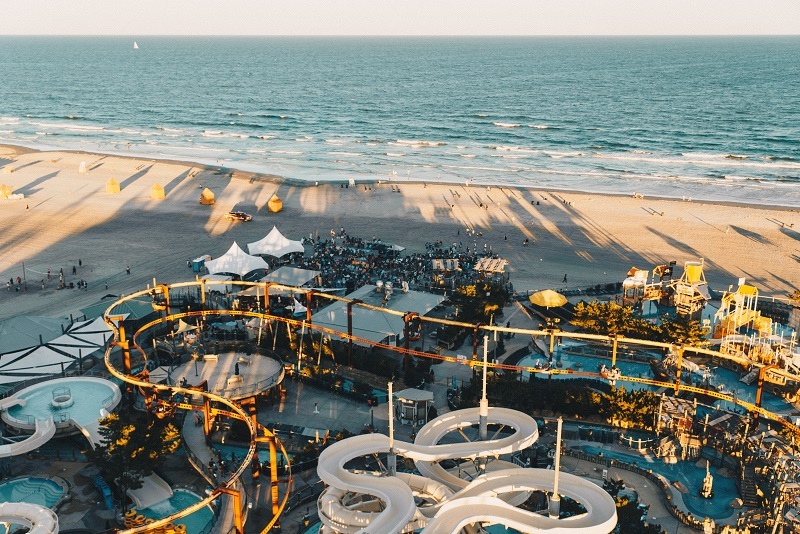 The force of the water on rides in a waterpark is enough to rip out the connection in your skin, your CGM or your Freestyle Libre. I had my Freestyle Libre ripped out on a recent waterpark experience in Asia- almost twice! You can get lots of different tapes that can be put over these to try and keep them in place, but I will be completely honest with you- the force is too strong! You will either need to be really careful or be prepared for something to rip out. If you can plan ahead with new CGM and sensors- then try and time it so that you don’t put a new one on until after the waterpark. 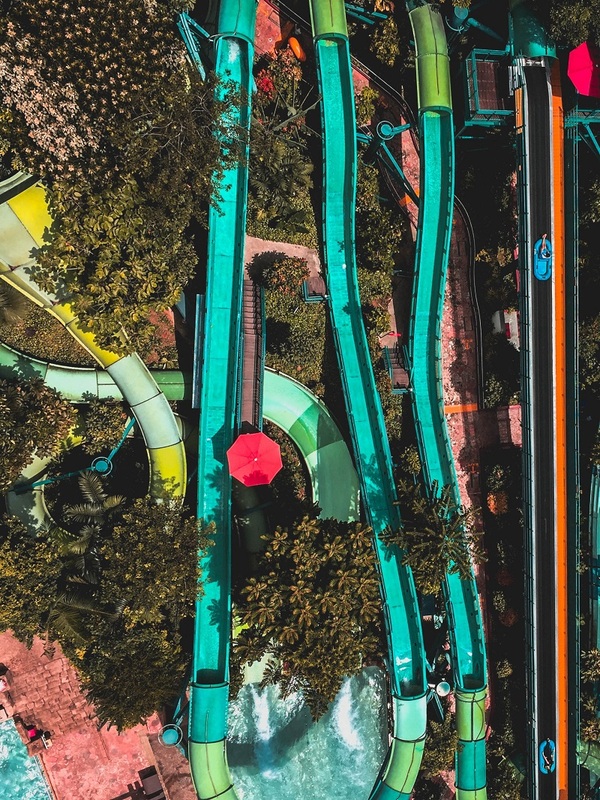 Waterparks are usually in the sunshine which means all that running around, adrenaline and heat can bring about lots of hypos- this is particularly true in children. You will need to monitor your blood sugars regularly and have lots of sugar on hand. Smaller children tend to go on less forceful rides (unless they are super adventurous of course! 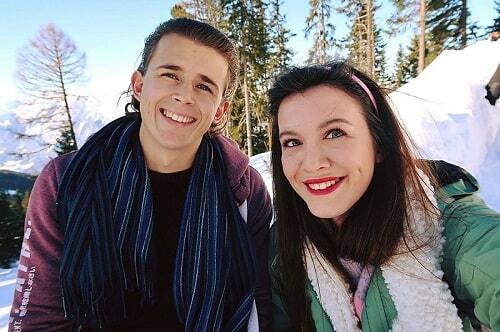 ), so it’s possible that they keep their CGM’s on. However, the question is, how waterproof are Dexcom, Omnipod or Medtronic? These are official advice direct from their websites! The Dexcom G5 Mobile System’s transmitter is water resistant. The G5 Sensor Pod is water resistant when the transmitter is installed properly. The receiver is not water resistant or waterproof and can be damaged if moisture gets inside it. Water can also severely limit communication range with the G5, so you never want to prevent communication between the transmitter and display devices. Medtronic: "When you’re wearing the GuardianLink® and it’s connected to the sensor, the transmitter is waterproof and fully immersible. However, we do not recommend immersing it in very hot water e.g. hot tub. You can wear the transmitter to a depth of 8 feet or 2.4 meters for up to 30 minutes." When connected to the sensor and worn, the MiniLink™ is waterproof and fully immersible. However, we do not recommend immersing your MiniLink transmitter in very hot water, e.g. a hot tub. You can wear the transmitter to a depth of 2.4 meters for up to 30 minutes. Is the FreeStyle Libre waterproof? I would have to agree with the final question. I lost my libre twice on trips to water parks. The force of slides just rips it off. If you really want to use, then you are physically going to have to tape it down tightly with medical tape and even then, there is a still a chance it may rip off. Let me know if you would like me to add any other CGM’s to the list. There you have it, this is basically what I do to survive a day at the waterpark. Technically waterparks are exercise so naturally I will need less insulin. If you are bringing some spare insulin with you to a water park (always a good idea in the heat, since warm weather can kill your insulin), then use a Frio bag to keep them cold! You can pop the Frio bag in one of the lockers at the waterpark and feel confident that you’ve got some back-up insulin with you just in case! Comment below with any other tips for managing your type 1 diabetes at a waterpark below!